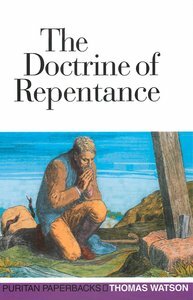 TC95BKnowing what repentance is, and actually repenting are essential to true Christianity. The simplicity and freshness of Thomas Watsons writings remain unchanged, hundreds of years after his death.Thomas Watson Knowing what repentance is, and actually repenting are essential to true Christianity. Jesus Christ himself said that if we do not repent, we will perish. It is essential, therefore, to read and study what Scripture has to say about this theme. Watson writes on this vital topic with a simplicity and directness that keeps his work fresh and powerful for the twentieth century. 122 pages, from Banner of Truth. About "The Doctrine of Repentance"
Watson was a 17th Century non-conformist Puritan preacher and author.